If you've come here looking for an experienced, quality-minded, service oriented Security Company, you've come to the right place. 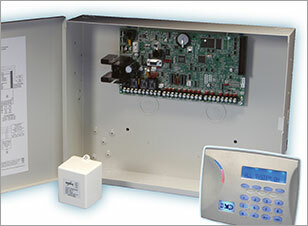 Comtec provides service and monitoring on all brands and types of systems. In addition, we offer the widest variety of security systems, fire alarms, security cameras, access control, and much more. All chosen for their quality versus cost. We call that Oklahoma value! There is no advertisement that you have seen from any major national company showing a feature or product that Comtec is not famiiar with and offers in a professional manner. 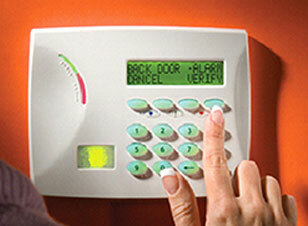 COMTEC began in 1986 as a true custom security company based on service. With 37 years of experience and an unlimited technician’s license, owner Zeke Lay took his experience as an installer, technician, and manager from the original Honeywell Protection Services and founded this locally owned Oklahoma Corporation. Technology changes very quickly in the security industry. To ensure that you are not stuck with last year's technology, Comtec continually studies new technology being developed and offered by manufacturers world-wide. 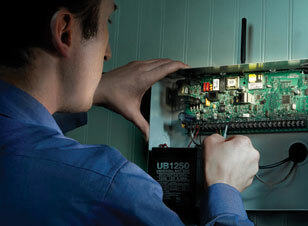 This helps you to avoid the three most common mistakes when investing in your security system: Proprietary equipment that can only be serviced by one company, older (legacy) model equipment, or whatever is easiest to find at a local distributor. There is no advertisement that you have seen from any major national company showing a feature or product that Comtec is not famiiar with and offers in a professional manner.